The i5-8400 is a great CPU, particularly for gaming. If you’re looking for the best GPU to pair with an i5-8400, you’ve come to the right place! In this guide, I first want to run through some things you need to consider before deciding on a GPU, the I have a list of various GPUs that are all great choices for an i5-8400, depending on your situation. Your monitors resolution – Higher resolutions put more workload on the GPU. So if you have a 1440p or 4K monitor, you will want a more powerful GPU than if you have a 1080p monitor in order to not bottleneck your CPU. If you have a 4K monitor and you purchase a weak GPU, you might find your i5-8400 is capable of achieving a lot more FPS, but is being held back by the GPU. Your monitors refresh rate – Ideally, you want a CPU and GPU combo that maximises FPS. However, if you only have a 60hz monitor (and you don’t plan on upgrading any time soon), then a high-end graphics card that is capable of a 100 FPS+ will be wasted on your monitor because it will only be able to display 60 FPS. If you really don’t want to upgrade your monitor to a higher refresh rate, get yourself a lower-end GPU that is capable of a steady 60 FPS (but you will probably be wasting your CPUs full potential). Personally, because the i5-8400 is a powerful CPU and I wouldn’t want to waste it’s potential, I would get a higher-end card and look into upgrading to a monitor with a higher refresh rate. G-Sync and FreeSync – Nvidia’s G-Sync and AMD’s FreeSync technologies sync the graphics card to the monitors refresh rate. This gives a much smoother gaming experience. It functions in a similar way to v-sync but without the input lag. G-Sync only works with Nvidia cards and FreeSync only works with AMD cards, so if your monitor has FreeSync, get and AMD card, and if your monitor has G-Sync, get an Nvidia card. Which games you play – Some games are more CPU intensive and others are more GPU intensive. If you will be playing games that are more CPU intensive (most commonly e-sports games like CSGO), you might not need a particularly powerful GPU, but if you will be playing GPU intensive games, you will want to invest in a card with a bit more power. You can check out Game Debate to get an idea of how different games perform on different hardware. I also like to head over to YouTube to get an idea of what the performance will be like. Search for a game you play, followed by the resolution, your CPU, and the GPU you are interested in. e.g. “Battlefield V 1440p i5-8400 GTX 1070”. Then you might want to compare that to a GTX 1080 for example, and see if the extra performance is worth it. Now you know what to keep in mind when choosing a graphics card, let’s look at some GPUs that go nicely with an i5-8400 for various situations. I have listed them in order of performance, with the less powerful, budget-friendly cards first. The GTX 1060 is the weakest GPU I would recommend for an i5-8400. It’s ideal if you will be playing games that aren’t graphically demanding (like CS:GO) on a 1080p monitor. If you have a higher resolution monitor or want to play more demanding games, I would avoid the 1060 and look at a more powerful card to get the most out of your CPU. The GTX 1060 is G-Sync compatible. If you have a FreeSync monitor, check out the next card in our list, the AMD Radeon RX 580. The RX 580 performs similarly to the GTX 1060, but since it is AMD, it is compatible with FreeSync. A great card for e-sports or low-demand games at 1080p, but not for anything more. Great for gaming on a 1080p 144hz monitor or 1440p 60hz monitor. The GTX 1070 is a great choice to pair with an i5-8400 for gaming on a 1080p 144hz monitor or a 1440p 60hz monitor. At 1080p, most games should run well above 60 FPS, and often above 100 FPS with this combo. At 1440p, you should still be getting above 60 FPS most of the time, but if you have a 1440p 144hz monitor, I would recommend a more powerful card. The GTX 1070 is just about OK for 4K gaming, but you will most likely see drops below 60 FPS. The GTX 1070 is G-Sync compatible. If you have a FreeSync monitor, check out the next card in our list, the AMD Radeon RX Vega 56. The Vega 56 performs similarly to the GTX 1070, but since it is AMD, it is compatible with FreeSync. 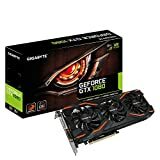 A great card for gaming on a 1080p 144hz monitor or 1440p 60hz monitor. However, for a 1440p 144hz monitor, or a 4K monitor, I would recommend a more powerful card. Great for gaming on a 1440p 144hz monitor. A GTX 1080 is the ideal card to pair with an i5-8400 if you have a 1440p 144hz monitor. Most of the time, you should be getting more than 60 FPS, and often more than 100 FPS at 1440p. The GTX 1080 will also give you more frames than a GTX 1070 on a 1080p monitor, but most of the time, the difference won’t be as noticeable as it is with higher resolutions. For gaming in 4K, this GTX 1080 is a great option, but you will still likely have to turn some settings down to achieve a steady 60 FPS in many games. The GTX 1080 is G-Sync compatible. If you have a FreeSync monitor, check out the next card in our list, the AMD Radeon RX Vega 64. The RX Vega 64 performs similarly to the GTX 1080, but since it is AMD, it is compatible with FreeSync. Great for gaming on a 1440p 144hz monitor, reasonable for 4K, but potentially overkill for 1080p gaming (you will get more FPS at 1080p, it just want be as noticeable as with higher resolutions). Great for 1440p and 4K gaming. Finally, we have the GTX 1080 Ti. I wouldn’t recommend this card for 1080p gaming with an i5-8400 because it will be overkill. However, for 1440p and 4K gaming, the GTX 1080 Ti is a great match. Whether or not the extra cost is worth it is up to you. I would check out some YouTube videos of the i5-8400 paired with GTX 1080s and 1080 Tis specifically running the games you play. One thing to consider is that the 1080 Ti will help to future-proof your PC and should enable you to play the latest releases for quite a few years to come.